Question: Dear Doctor, I’m suffering from OCD for the last five years. I used to clean my room often and I’m spending most of the time to wash my body. Each and every hour I used to wash my hand to maintain my hygiene. I consult a psychiatrist regarding this; he only diagnosed me that I’m suffering from OCD. Then he prescribed me few medicines, after taking those medicines, I felt some kind of drowsiness and not able to do my routine works so, I withdraw the medicines. My question is there any Homeopathic treatment for OCD and I need counseling also please tell me I want to know the answer. At one time or another, we’ve all double-checked that we locked the front door, “knocked on wood” to ward off certain disaster, or had. While most people continue about their daily routine without giving these experiences a second thought, if you have obsessive-compulsive disorder (OCD), these kinds of occurrences can become both distressing and debilitating. 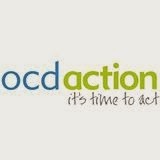 OCD is considered an anxiety disorder. Obsessions are thoughts, images, or ideas that won’t go away, are unwanted, and are extremely distressing or worrying (“What if I become infected with a deadly disease?” or “What if I molest a child or murder my partner?”). Compulsions are behaviours that have to be done over and over again to relieve anxiety. Compulsions are often related to obsessions. For example, if you are obsessed with being contaminated, you might feel compelled to wash your hands repeatedly. However, this is not always the case. Washers are afraid of contamination. They usually have cleaning or hand-washing compulsions. Checkers repeatedly check things (oven turned off, door locked, gas off etc.) that they associate with harm or danger. Doubters and sinners are afraid that if everything isn’t perfect or done just right something terrible will happen or they will be punished. Counters and arrangers are obsessed with order and symmetry. They may have superstitions about certain numbers, colours, or arrangements. Hoarders fear that something bad will happen if they throw anything away. They compulsively hoard things that they don’t need or use. Just because you have obsessive thoughts or perform compulsive behaviours does NOT mean that you have obsessive-compulsive disorder. C. The obsessions or compulsions cause marked distress, are time consuming (take more than 1 hour a day), or significantly interfere with the person's normal routine, occupational (or academic) functioning, or usual activities or relationships.